Citrullis™ is a pharmaceutical grade natural l-citrulline product. The organic compound citrulline is an α-amino acid. Its name is derived from citrullus, the Latin word for watermelon, from which it was first isolated in 1930. It has the idealized formula H2NC(O)NH(CH2)3CH(NH2)CO2H. It is a key intermediate in the urea cycle, the pathway by which mammals excrete ammonia. Citrulline in the form of citrulline malate is sold as a performance-enhancing athletic dietary supplement which was shown to reduce muscle fatigue in a preliminary clinical trial. The rind of watermelon (Citrullus lanatus) is a good natural source of citrulline. Classified as a nonessential amino acid, Citrulline is neither a component of any major proteins nor enzymes. It’s mainly responsible for the proper functioning of the immune systemes as well as processes related to the production of energy in the body . A very unusual amino acid, Citrulline is defined through a variety of biological and chemical reactions. This amino acid forms during the urea cycle and forms ornithine when combined with carbon dioxide. The process continues thusly: ornithine combines with aspartic acid forming arginosuccinic acid, which is then metabolized to the most humanly bioavailable form, L-arginine. This transformation of citrulline to arginine is critical to homeostatic maintenance of certain toxicities within the body. Arginine is a key component in the formation of urea in the liver. Citrulline’s conversion to arginine is essential to the process of removing nitrogen metabolites from the body. Citrulline, aspartic acid, citric acid, and magnesium work synergistically to remove excess nitrogen as well as aid in the digestion, absorption, and metabolic processes of specific proteins. L-citrulline is a non-essential amino acid. In hepatocytes, the addition of carbon dioxide and ammonia to ornithine synthesizes L-citrulline during the urea cycle. The enzymes argininosuccinate synthetase and argininosuccinate lyase, when in the presence of L-aspartate and ATP, converts L-citrulline into L-arginine . Subsequently, L-arginine is converted to nitric oxide by nitric oxide synthase and L-citrulline is regenerated as a by-product . Citrulline, a non-standard amino acid not normally present in protein, is an intermediate in the conversion of the amino acid ornithine to arginine during the urea cycle. Citrulline’s main function is its ability to remove ammonia and is essential for the excretion of oxidative waste processes. It is also used for treatment of Ornithine Transcarbamylase, a urea cycle disorder. 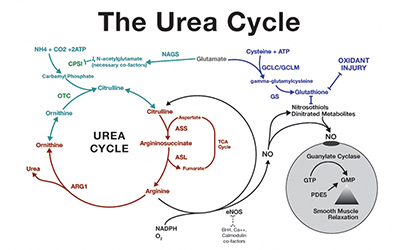 Urea cycle disorder is a genetic disorder consisting of a deficiency of one of the enzymes needed in the urea cycle. Citrulline is critical in the improvement of immune system deficiencies and overall functioning. Malic Acid, a key component of the energy production yielded via the Kreb’s cycle, conditions and assists lactate and pyruvate toward anabolism rather than catabolism. Supplementation of this nonessential amino acid has reduced fatigue significantly as well as increase energy production. Documentation has shown citrulline to significantly increase the body’s metabolic rate, aerobic performance, and provide reductions in the onset of muscular fatigue. In conclusion, citrulline supplementation may not only boost physical activity performance, but also provide our bodies with a means of eliminating the amino acid breakdown products of protein metabolism. Equally important is the detoxification of ammonium and lactate from the blood. No daily value has been established. Thus far, no significant citrulline side effects or adverse reactions have been reported in the medical literatures or clinical results. 1. Wada, M (1930). "Über Citrullin, eine neue Aminosäure im Presssaft der Wassermelone, Citrullus vulgaris Schrad.". Biochem. Zeit. 224: 420. 2. Bendahan D, Mattei JP, Ghattas B, Confort-Gouny S, Le Guern ME, Cozzone PJ (Aug 2002). "Citrulline/malate promotes aerobic energy production in human exercising muscle". Br J Sports Med 36 (4): 282–9. 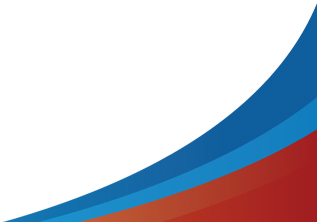 doi:10.1136/bjsm.36.4.282. PMID 12145119. PMC 1724533. http://bjsm.bmj.com/cgi/pmidlookup?view=long&pmid=12145119.